Leicester boss Claude Puel admits he has unfinished business in the Carabao Cup ahead of the quarter-final clash with Manchester City. The Foxes host in-form City on Tuesday aiming to hit back following a surprise 3-0 Premier League defeat to Crystal Palace. Puel's Southampton lost the EFL Cup final 3-2 to Manchester United at Wembley last season when Saints' striker Manolo Gabbiadini had a goal controversially ruled out with the game at 0-0. 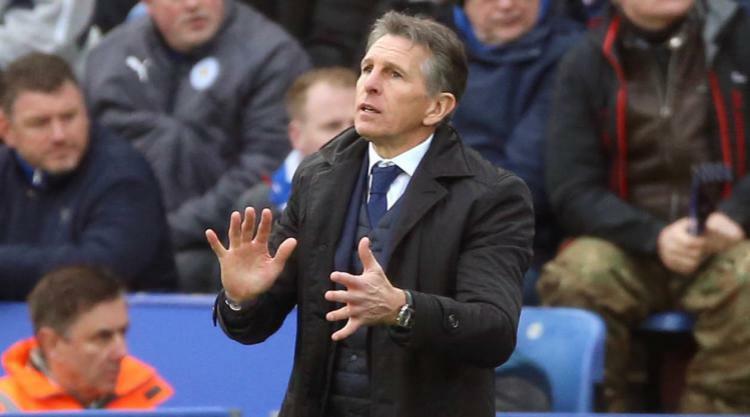 Defeat was hard on Puel and Southampton and, now Foxes manager, he is eager to right some wrongs. He said: "Yeah, but time will tell. The next game will tell us if this is possible or not because we have to play a fantastic team. "They are the top team in Europe and it's difficult to beat this team - all the teams try without a good result. "It's a good opportunity, a strong challenge for us to try to beat them. It's a unique game, a quarter-final, a cup game and not a Premier League game and with the support of our fans we can make a fortress at the King Power Stadium." The Frenchman will be without the banned Wilfred Ndidi after he was sent off following two yellow cards - the second for diving - in Saturday's 3-0 defeat to Crystal Palace. Robert Huth (ankle) and Matty James (ankle) are also out for the Foxes with Puel likely to make changes after insisting his players cannot play two games in quick succession. He said: "We have to accept some frustration. It's difficult to understand when we can play with this quality against Southampton (a 4-1 win) and the game afterwards is so difficult. "It's difficult to play every three days with the same intensity and concentration. Perhaps there's a little tiredness for the players. It's important to analyse enough to look forward. "It's important to believe in my players and to put in place a good balance. We can do something against Manchester City, this is the most important thing. For the future it will be important to have some rotation and changes without losing the quality."